Nintendo of America and Ubisoft have published the Starlink: Battle for Atlas Star Fox launch trailer. 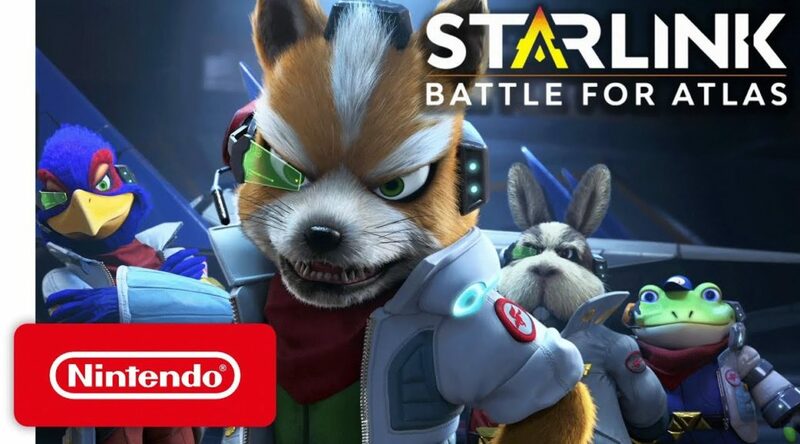 Star Fox and gang appear exclusively in the Nintendo Switch version of Starlink: Battle for Atlas, so both companies want to make this a very important selling point. Lead a group of interstellar pilots as you build your own starship, explore the Atlas Star System, and battle the vile Grax and his Forgotten Legion. Play as Fox McCloud, pilot the Arwing, and face off against Star Wolf in exclusive missions on the Nintendo Switch. Available now! Star Fox comes to Starlink: Battle for Atlas with exclusive add-on content featuring Fox McCloud, Arwing, and bonus missions!